Analysis: San Francisco right-hander Tim Lincecum is coming off an impressive outing wherein he limited the Braves to one earned run on two hits in 7 2/3-innings, while also compiling a season-high 11 strikeouts. “When it started working, that slider, early in the game, I just sort of leaned on it,” Lincecum said after his last outing. Lincecum has allowed more than three earned runs just once since April 15, and he toes the rubber with a 3.06 ERA and 1.41 WHIP over his last three starts. Let’s also note that Lincecum is 2-1 with a career 3.71 ERA and 0.97 WHIP versus the Marlins. San Francisco also possesses an outstanding bullpen that owns a 2.15 ERA and 0.988 WHIP this season, including a 1.15 ERA and 0.86 WHIP at home and a 2.28 ERA and 1.07 WHIP at night. Meanwhile, Miami takes the field with a scuffling lineup that is batting just .229 with a .293 on base percentage on the road (3.5 runs per game) and .246 with a .312 on base percentage over the last seven games (4.o runs per game). Miami starter Tom Koehler is a prime regression candidate as his peripheral statistics do not support his 2.57 ERA this season. Moreover. Koehler has struggled on the road where he is 0-3 with a 5.14 ERA and 1.61 WHIP in 2014. Miami also has a subpar bullpen that owns a pedestrian 3.91 ERA and 1.41 WHIP this season, including a 4.95 ERA and 1.51 WHIP on the road and a 4.56 ERA and 1.61 WHIP over the last seven games. From a technical standpoint, San Francisco is 14-5 (+11.2 units) versus teams with a winning record and 27-16 (+11.2 units) overall this season, whereas the Marlins are 5-16 (-10.2 units) on the road. 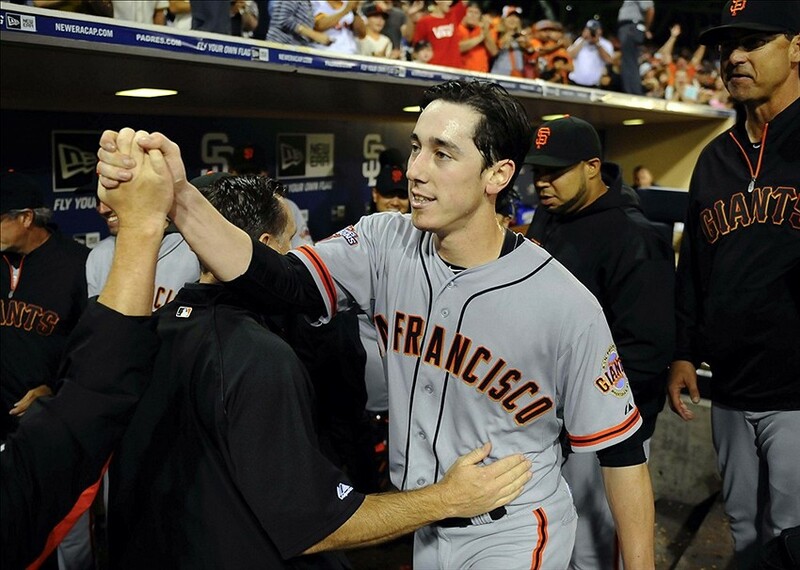 I like San Francisco behind Tim Lincecum tonight. Analysis: New York starter Bartolo Colon has finally returned to earth as he is 2-5 with a 5.84 ERA and 1.44 WHIP this season, including going 1-3 with a 7.67 ERA and 1.67 WHIP on the road, 1-1 with a 7.50 ERA and 1.42 WHIP in day games and 0-2 with an 8.30 ERA and 1.73 WHIP over his last three outings (17.3 IP; 16 ER; 28 H; 12 K; 2 BB). In contrast, Gio Gonzalez takes the mound at home for the Nationals where he has excelled this season with a 1.50 ERA and 0.944 WHIP (18.0 IP; 3 ER; 11 H; 17K; 6 BB). Gonzalez is also 6-1 with a 2.45 ERA and 1.01 WHIP in nine career starts versus the Mets. Gonzalez is 11-0 (+11.1 units) versus teams who are averaging 0.75 or less home runs per game. With those compelling trends in hand, take the Nationals and invest with confidence.